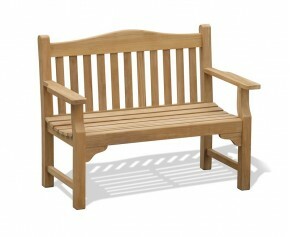 Our stunning teak garden benches have proven that some styles never go out of fashion. 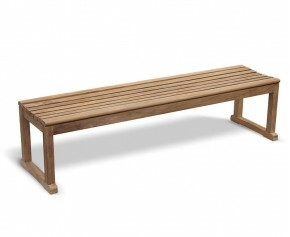 A welcome addition to any outdoor space, these wonderful outdoor wooden benches provide not only the highest levels of design with timeless style, but endless durability, low maintenance and supple skin feel due to their premium grade-A teak. 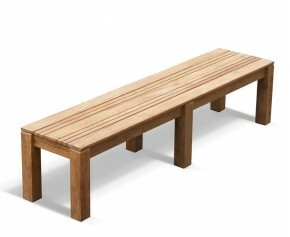 These outdoor wooden benches can remain outdoors year round. 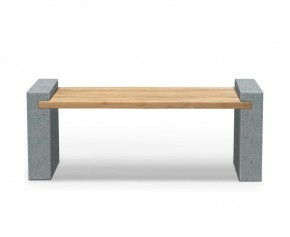 This teak and granite bench offers the utmost style for architectural street furniture and is particularly ideal in discerning outdoor settings where a contemporary aesthetic is required. 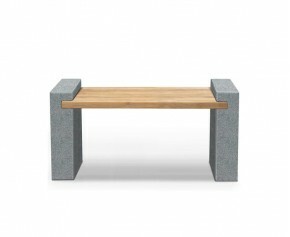 This gallery granite bench offers a flamed finish with hand sawn edges, allowing for a graceful mineral sparkles which is particularly enjoyable in the summer season sun. 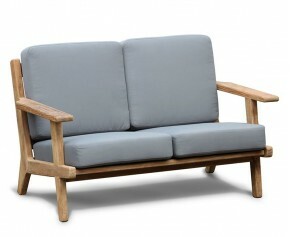 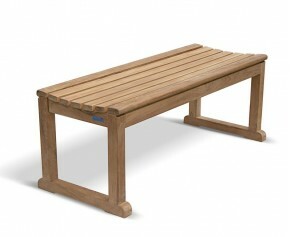 This teak backless outdoor bench offers an attractive focal point in any setting. 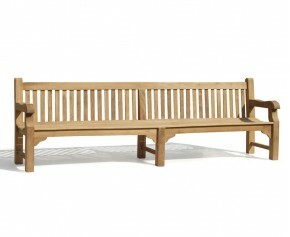 Featuring a backless design with cupped seats for extra comfort, this Westminster changing room bench offers a stylish alternative to standard garden benches. 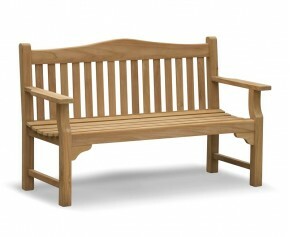 Featuring a stylish top rail and a raked back for your added enjoyment, this banana garden bench offers the ultimate in style and comfort and would look stunning in any outdoor setting. 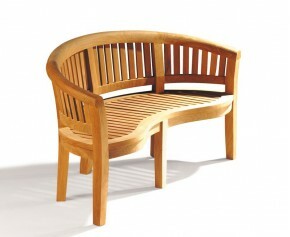 Robustly constructed in the traditional manner using tight fitting, glued mortise and tenon joints which are secured with teak dowels. 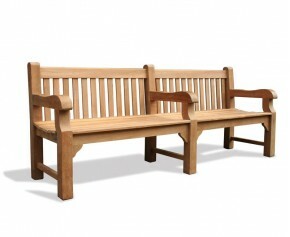 We understand that you have your own specific needs and tastes, so if our extensive range of stunning teak garden benches doesn’t contain your perfect outdoor wooden bench, no problem! 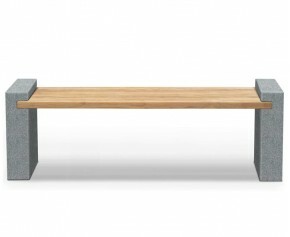 Simply let us know using the “product customisation” option for any alterations needed, and our masterful craftsmen will get to work. 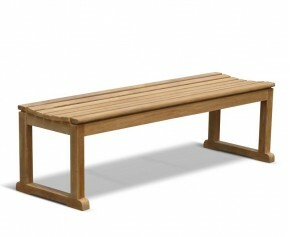 Whatever your requirements you can be sure to build your ideal teak garden bench with Corido. 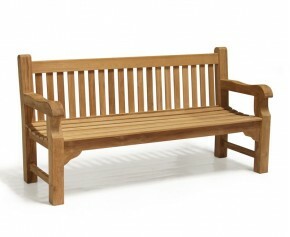 For a seamless blend of spacious lounging, high-level style and an experience of comfort never felt before, you’ll need one of our outdoor wooden benches for your garden. 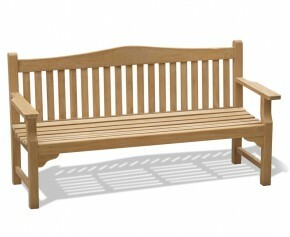 Extremely versatile and befitting of any residential or commercial space, our range of teak garden benches will be a magnificent centrepiece and an inviting spot for family, guests and and visitors alike. 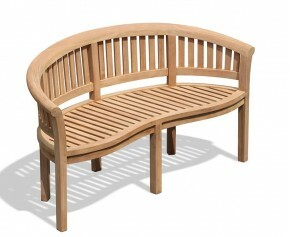 For a seating solution which will have you and your guests magnetised for hours on end through their compelling wood grain and extra-smooth finish, choose one of our teak garden benches above.